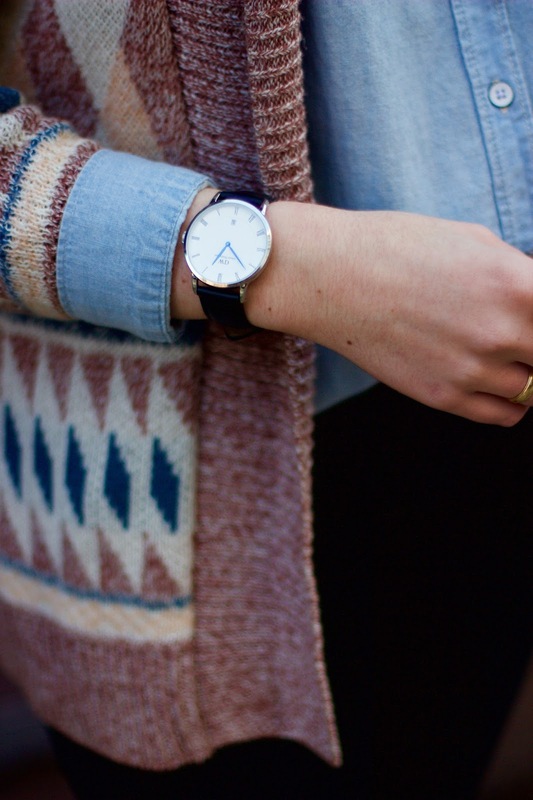 I've been a huge fan of Daniel Wellington ever since I discovered the brand about two years ago. 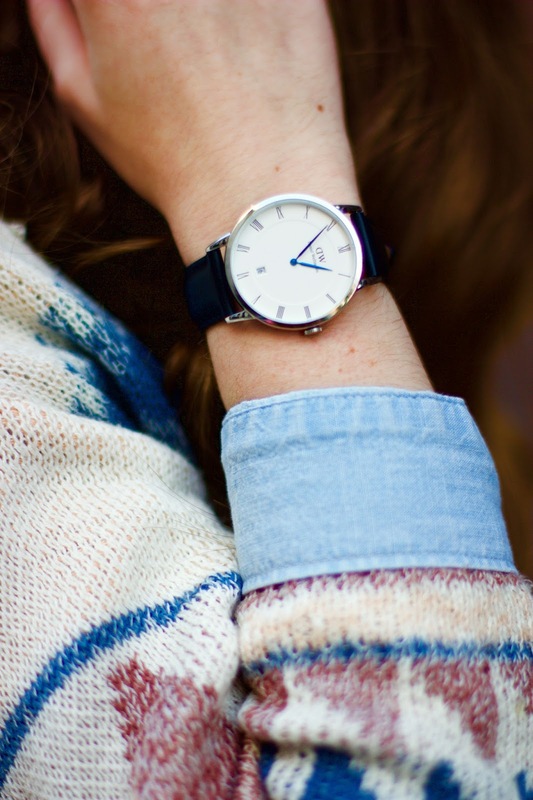 The classic and simple designs of their watches make them a staple accessory that could pair well with just about any outfit you could imagine. I've had my DW watch with the rose gold metal and brown leather band (which is probably my most worn accessory) for a while now. Recently, though, I acquired this new one with silver metal, roman numerals on the face and electric blue hands. So now I have DW watch that is classic and one that is more funky and unique. 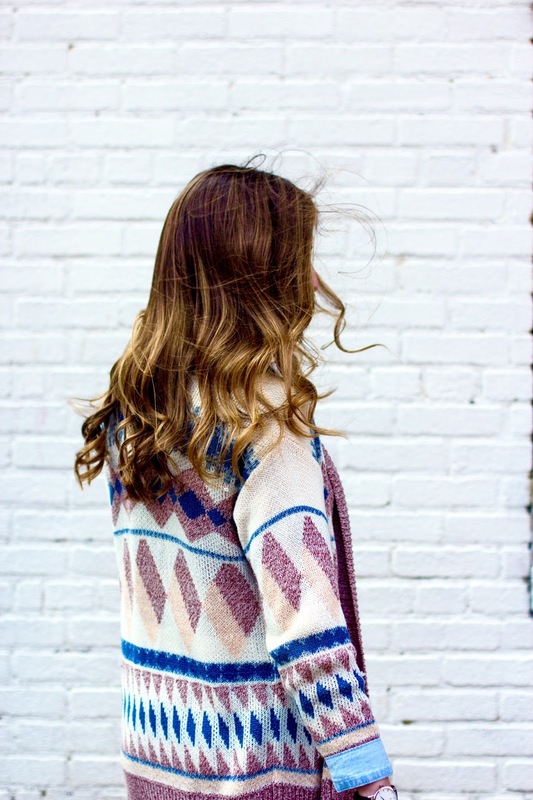 For this post, I paired my new watch with this gem of a cardigan purchased Freshman year of high school that I excavated from the back of my closet recently. I layered a simple chambray shirt under the cardigan and paired that with black jeans and these recently purchased lace up flats that I'm beyond obsessed with. 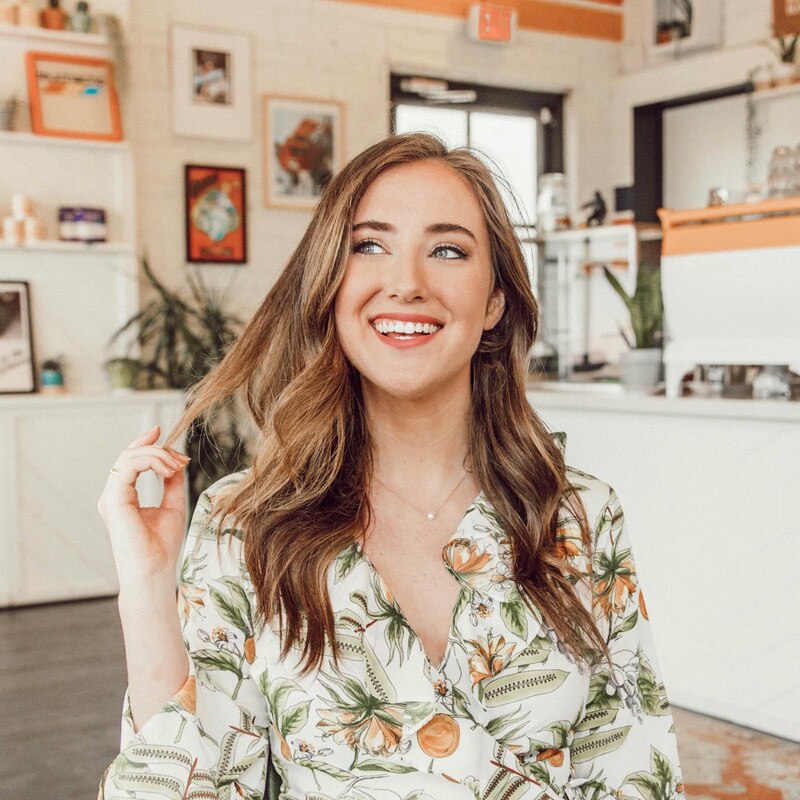 Shop similar pieces to what I'm wearing in the post below! Big thanks to my girl Emily for the photos! Check out her fashion blog and photography website. 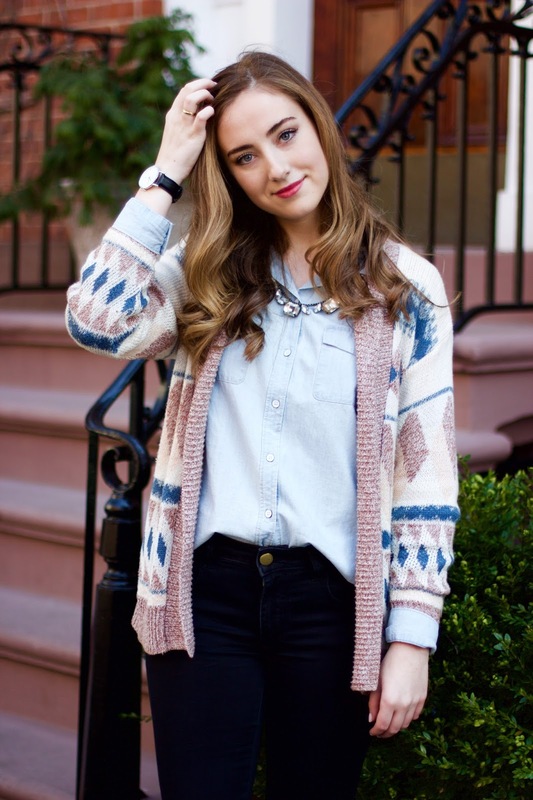 So cute, love that cardigan!